Smith Church Wealth Management Group is a part of TD Wealth Private Investment Advice, a division of TD Waterhouse Canada Inc. which is a subsidiary of The Toronto-Dominion Bank. Michael graduated with a business degree from theUniversityofRegina(B. Admin.) in 1993. He has been advising high-net-worth clients in the strategic management of their investments for more than 20 years. Over time, Michael has learned that a goal-oriented approach to wealth management works best for most investors, who often share similar financial goals of creating a lasting retirement income, financially assisting children or grandchildren, minimizing taxes, planning to transition assets through their estate, and perhaps leaving a legacy through a contribution to charity. Michael and his wife Colleen have two daughters. Outside the workplace, Michael enjoys spending time coaching his daughters’ sports teams as well as playing hockey, golfing and skiing. Trevor has been advising and working with affluent families and business owners for more than 15 years, helping them to manage the ups and downs of several business cycles by focusing on conservative strategies designed to preserve capital and generate income. A graduate of the University of Calgary (B.A. Economics), Trevor has lived in Calgary for 20 years. When he's not in the office, Trevor enjoys spending time with his wife and daughter and taking advantage of the many outdoor activities that Calgary offers, including skiing, golfing, and playing hockey. Leanne has been with TD for more than 3 years and is an integral member of the Smith Church Wealth Management team. 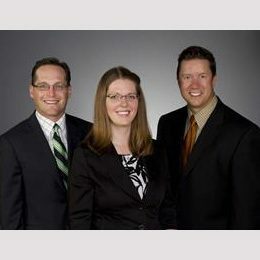 Responsible for the day-to-day operations of the team, Leanne works with Mike and Trevor to help clients work toward meeting their wealth and investment goals. She prides herself on maintaining the highest level of client service and prior to joining the team, had the privilege of working with TD Canada Trust clients, helping them with their banking needs. Leanne graduated from the University of Calgary and in her spare time she loves to travel and spend time outdoors with her husband, family and friends.